Turkey Foot Falls is within a 30-minute walk from the Sipsey River Picnic Grounds and Recreation Area, the main developed access area off of County Road 6 (Cranal Road). Turkey Foot Creek runs through a sandstone canyon then empties into the Sipsey Fork. The area is rich in Native American and pioneer history. 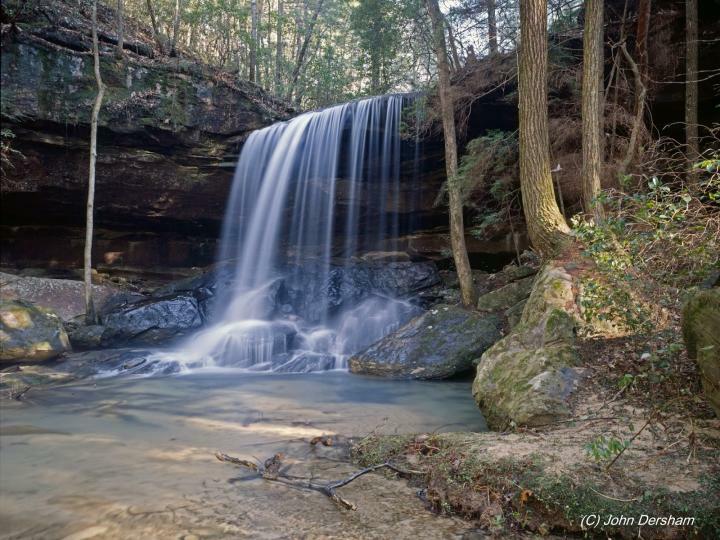 Kinlock Falls is a cascade waterfall that drops 15 feet over a span of 20 feet. Though Kinlock Falls is not a high waterfall, it features a magnificent view, along with being an area that people come to swim. Located along Hubbard Creek in the Bankhead National Forest. The William B. Bankhead National Forest is one of Alabama’s four National Forests, covering 181,230 acres. It is home to Alabama’s only National Wild and Scenic River, the Sipsey Fork. 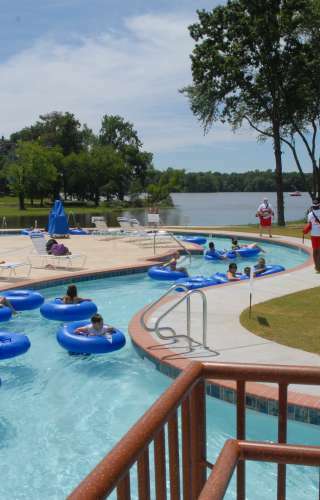 Recreational Areas and offers so many trails you could spend weeks here. There are six recreation areas scattered about the Bankhead National Forest, each offering a unique experience of its own. Facilities for camping, picnicking, fishing, hiking, and swimming are abundant. All facilities are designed with forest users in mind and provide varying challenges for everyone from the novice to the expert. Forest users will find that each area has its own personality and with the changing seasons, even that personality will change.Sipsey is the largest national forest wilderness area east of the Mississippi. The Sipsey Fork river offers a peaceful float trip combined with the beautiful scenery and great camping that distinguishes the Bankhead from other National Forests. While canoeing the Sipsey Fork you will pass magnificent walls of rock which has been carved for thousands of years by the erosive power of water. As the Sipsey Fork begins to merge with Smith Lake the creek becomes non-turbulent and wide. This area must be paddled but offers a slow-pace if interested in fishing or just a slow-paced family trip. The General Joe Wheeler Home, known as Pond Spring, was home to Fighting Joseph Wheeler, former Major General of Cavalry of the Confederate western army. Wheeler was a U.S. Congressman following the Civil War. “Fightin’ Joe” Wheeler became a national symbol for reunification and reconciliation following the Civil War and throughout the latter half of the 19th Century. Oakville Indian Mounds Education Center features the largest 2,000-year-old Woodland Indian Mound in Alabama, early settler cemetery, Black Warriors Path, 8,000 sq. ft. 122-acre park with 20-acre fishing pond, and walking paths.